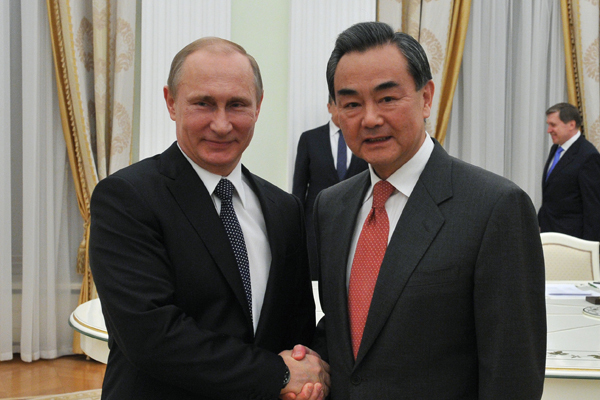 On Tuesday, Russian President Vladimir Putin met with Chinese Foreign Minister Wang Yi. The key topic was the forthcoming visit of Chinese President Xi Jinping to Moscow. “There is no need to apply any definitions to Russian-Chinese relations. They are unprecedentedly good and well fit to our national interests,” Putin said. “I know that the foreign ministries of Russia and China are in close contact and keep coordinating their positions. I am sure that today you have discussed many global political problems with your Russian counterpart,” Putin said. He said that Chinese President Xi Jinping is a big friend of Russia and asked Wang Yi to give him his best regards. “Unfortunately, not all decisions made by leaders are put into practice. 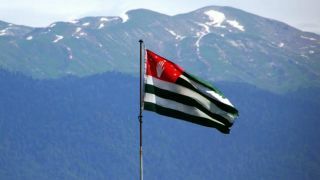 But our relations are a good example of practical cooperation. All of our ministries and companies are well aware how important our relations are,” Putin said. According to Wang Yi, over the last two years Russia and China have signed over 100 strategic agreements and have already realized 55 of them. He gave Putin best regards from Jinping and said that the Chinese President highly valued his friendship with Putin and was looking forward to his May visit to Russia. Wang Yi stressed the need to enhance peace and stability worldwide. He asked Putin to speak about the current situation in the world so he could inform Jinping about the Kremlin’s position.